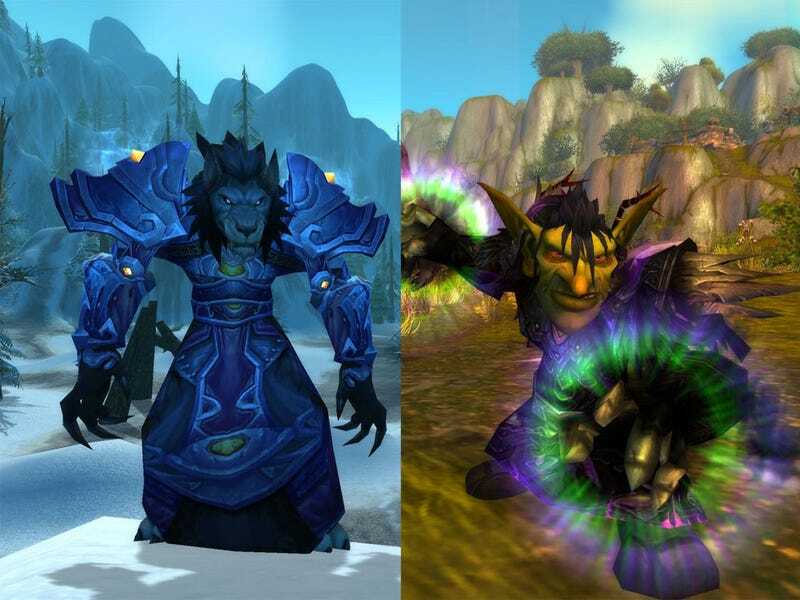 Which Worgen And Goblin Character Classes Should I Play? World of Warcraft's Cataclysm goes down early tomorrow morning, unleashing the ferocious Worgen and inventive Goblins upon Azeroth as playable races. I'll have to play both races, but the classes I pick are up to you guys. Over the next couple of weeks I'll be playing World of Warcraft's Cataclysm expansion pack leading up to a review that should hit somewhere around Christmas time. I've decided to split up my time between the high end content being introduced for levels 80 through 85 and the two new playable races, the Goblin and the Worgen. I'm just not sure what sort of Goblin or Worgen to play. Over the past six years I've tried just about every race and class combination in the game. My highest level characters are a pair of Mages, a Rogue, and a Priest. Everything else I've played to at least level 24. In fact the only class I've not gotten past 30 so far is Shaman. Do I go with what I know or try something new? Skill progression has pretty much changed for all classes, so I'm sure the experience will be fresh no matter what I choose. So I leave it up to you guys. Whichever race and class combinations are winning when Cataclysm goes live at 12:01AM Pacific time will win the day. Feel free to use the comment section for reasoned debate!